Tallest, oldest, smallest, largest, the world is full of record breakers, things are constantly changing, but how would you like to spend a weekend in a record-breaking hotel. Here are some suggestions…. The oldest functioning hotel in the world is the Houshi Ryokan in Komatsu, Japan. The hotel opened its doors to the public in…..718… that makes it 1300 years old. It is also the world’s oldest continuously operating company, and has been in the same family for forty-six generations! If you want to stay at the hotel it offers hot springs, a spa, theatre, pottery making opportunities, a fortune teller and a tranquil garden, perhaps Hotels Fairy will start featuring it soon? In 2007 the world’s tallest hotel, the Rose Tower, Dubai was built, in fact it was supposed to be significantly taller (380 Meters), but after long discussions it was felt that 333 meters was tall enough. 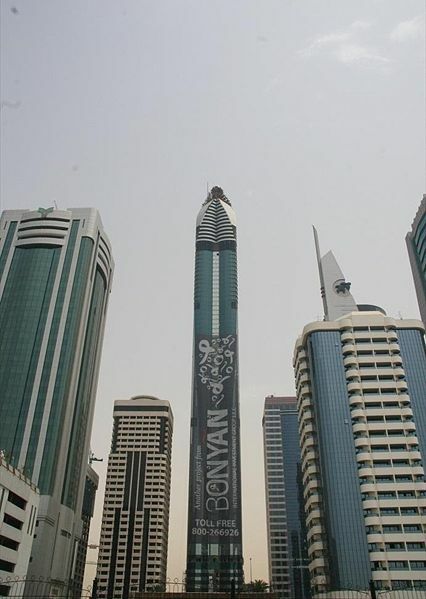 Big mistake, as just three years it was then overtaken by Emirates Park Towers 1 and 2, each at 376 meters tall. To be honest, they’re not quite there yet, so the Rose still holds onto its title until the hotels twin towers at 77 storeys are finished, but it won’t be long! You’ve probably already guessed that the world’s largest hotel, in fact the majority of the world’s largest hotels, are in Las Vegas. Twenty out of the top twenty-seven of the largest hotels in the world are found in Vegas; but which one is it? Is it the Luxor or the MGM Grand? No, it’s the Venetian, a clear winner with 7,128 rooms. But its not just amazing because of the number of rooms it’s also amazing because it has 19 restaurants and 80 international boutiques in which to spend your winnings. So where are the others? At position 23 and 24 are the Gaylord Opryland Resort, Nashville and Disney’s Pop Celebrity Resort, Orlando, at number 19 another Venetian, but this time in Macau, number 15 Hilton Hawaiian Village in Honolulu, 13, The Shinagawa Price Hotel in Tokyo and number 7 the Ambassador City Jomtien in Thailand. The surprise is that although we’ve already mentioned the Venetian, it’s only the biggest hotel in Vegas, not the world. The top spot goes to….drum roll please… The Genting Highlands in Malaysia with over 10,000 rooms!!! Would you want to stay in the Penthouse suite? From the largest to the smallest. The world’s smallest hotel is in London, and sleeps just two people. The hotel is a ‘pop up’ hotel and features a concierge/check in desk, room service, dining room and a double bed. 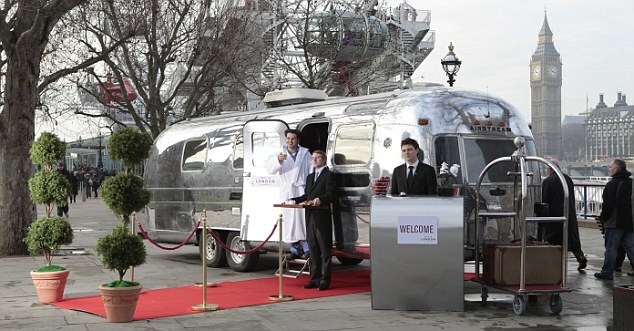 Ok, it’s a caravan, but ‘Visit London’ were taking bookings during the time it was open! Fancy staying in a record breaking hotel? Don’t forget, you can compare the best deals on most of these record breaking hotels right here at Hotels Fairy!